A pelvic ultrasound is a non-invasive procedure that uses imaging to diagnose conditions affecting the organs housed by the pelvis. It is usually recommended by a doctor in order to rule out structural abnormalities, fibroids or tumours, or inflammatory diseases. There are two types of ultrasound scan, internal and external. 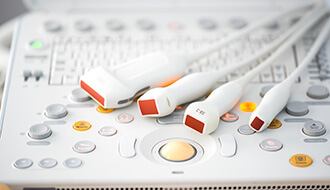 A pelvic ultrasound is an external scan, which means that a probe, or transducer, is moved over the surface of the skin, rather than being inserted into the body (such as with transvaginal or endoscopic ultrasound). A pelvic ultrasound scan is usually used to examine the organs and structure inside the pelvis, including the reproductive organs, or an unborn baby (or the bladder and prostate gland in men). In pelvic ultrasound, the skin is covered with a lubricating gel that allows the probe to move easily and maintain contact. The probe is a small handheld device which is placed onto the skin and moved over the surface of the pelvic area. The only discomfort of this kind of scan may be that of having the probe pressed over the feeling of a full bladder. The sensor and gel may feel cold. The procedure is not painful. In preparation for a pelvic ultrasound, you may be asked to arrive for your appointment with a full bladder, which can improve the quality of the images picked up by the probe. Unlike CT scans and x-rays, a pelvic ultrasound does not involve being exposed to radiation, and there are no known risks or side effects of this scan. Ultrasound scans usually last for 15-45 minutes. Call us to set up an ultrasound appointment. Why do I need to have a pelvic ultrasound? 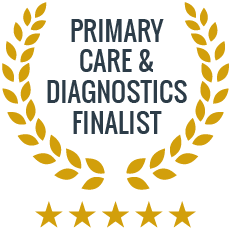 This diagnostic procedure is typically used to rule out structural abnormalities, fibroids, tumours, and inflammation. Is a pelvic ultrasound an internal examination? No. The ultrasound probe is moved over the surface of the skin of the pelvis. This is a noninvasive procedure. Does it hurt to have a pelvic ultrasound? No. The procedure is painless. There is no exposure to x-ray, and no known side effects.